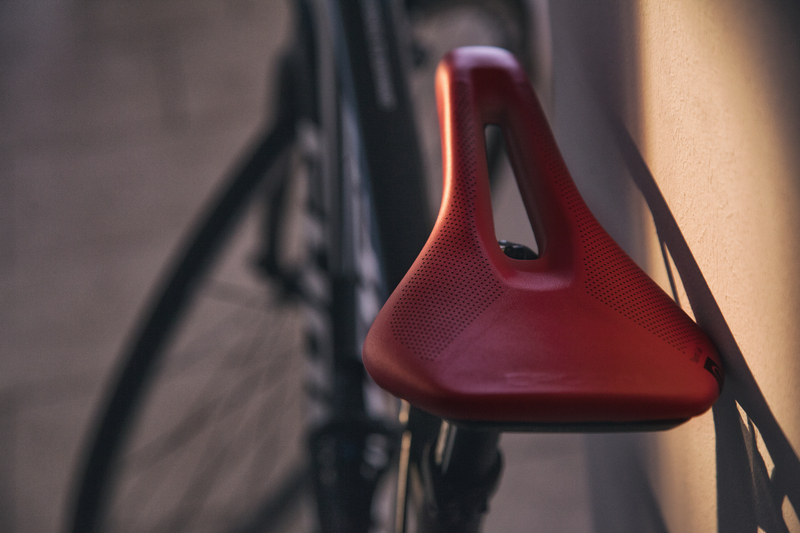 The bike saddle may be one of the most up-close-and-personal pieces of gear a road cyclist or mountain biker uses. For me, new technology from Ergon has made this relationship much more enjoyable, and it wasn’t until I tried one of their new women’s saddles that I realized what had been missing on every ride — sustained comfort in the seat. The Ergon research and development team used X-ray and CT analysis on the female anatomy to create these sport saddles. Ergon made a few models for both road and mountain biking, and I have been testing a road saddle: the SR Sport Gel Women. My road bike’s previous owner was a man. The saddle on the bike was never comfortable for me, and long rides often resulted in a sore seat during and after. I found myself pumping up hills extra fast sometimes, simply because it felt best to stand up out of my saddle and run on the pedals, rather than grind into my crotch on every leg rotation. Ergon designed their saddle to better accommodate the average female anatomy, including the fact that women have higher mobility in their pelvis which causes it to rock forward, often resulting in higher pressure in the genital area. The Ergon saddle has center relief, or an opening near the center of the seat, which my previous saddle did not have. The wide v-shaped saddle flanks on the bike also help distribute weight and pressure. On my first long road ride of the season this year, my new SR Sport Gel Women definitely provided a more enjoyable experience than my previous “suffer” saddle. It’s nice to know now that saddle sore isn’t something I have to tolerate anymore. Pros: The SR Sport Gel Women saddle from Ergon is flat but still comfortably padded, so it doesn’t feel cumbersome at all. The shape of the saddle and the center relief feature are designed to fit the female anatomy in a riding position, and I found the saddle did create a much more comfortable experience. As Ergon brought to my attention for the first time, this saddle transfers sitting pressure where it belongs — to the sit bones. Extra comfort is created with large gel pads in the sitting area and genital region. The saddle has a durable structure and is made with high-quality materials like a nylon composite saddle shell, so it’s an investment that will last over time. Cons: Setting up the saddle right is important to get all its benefits, and if you don’t set it up right you may not notice every attribute. 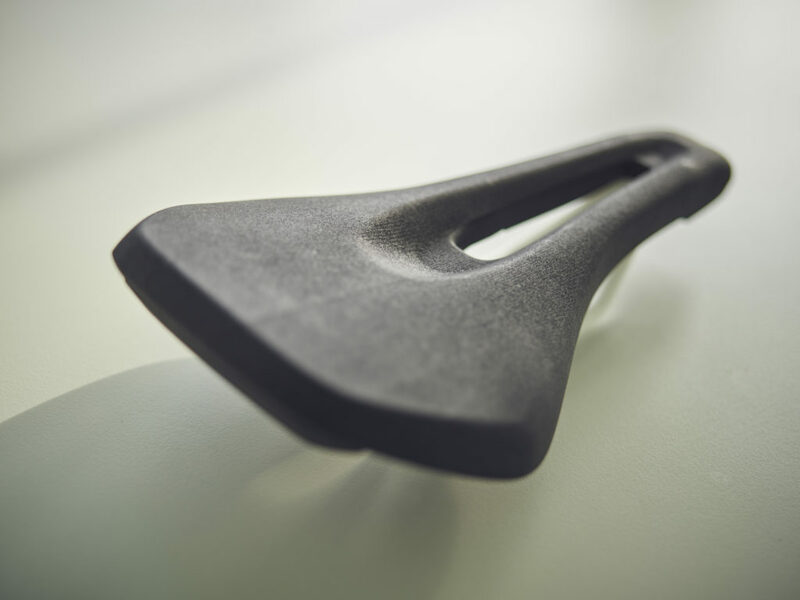 Ergon recommends setting up the saddle with a zero nose angle so that the nose is horizontal. If you tilt the nose down, the pressure won’t necessarily be reduced for every rider. Where I Took It: I tested the saddle on my first road bike of the spring season, on a three-hour ride into and through Arches National Park in Moab, Utah.